PGA Tour — Luke Donald overcame his recent putting troubles to fire a five under par 66 for a share of the lead with South Africa’s Branden Grace in the RBC Heritage at Hilton Head. Ranked 116th for strokes gained putting this year having led the statistics three years running from 2009 to 2011 and then finishing third, 13th, 7th and 38th from 2012 to 2015, Donald said: “I haven’t looked statistically at my putting, but it’s probably outside the top 100 right now." Donald has five top-3s in 10 starts at Harbour Town where Jason Bohn returned to action after suffering a mild heart attack at the Honda Classic last month, shooting a three over 74 that left him tied for 104th with former winner Graeme McDowell. Having missed the cut at the Masters, McDowell was generally off his game in all departments, hitting just seven greens and only five fairways. He didn’t hit his first fairway until the sixth and turned in 38 as he mixed bogeys at the first, third and ninth with a birdie two at the fourth. Another birdie at the 11th set him up for a positive back nine but he missed the green the par-three 17th and bunkered his approach to the last and finished with two bogeys. EPD Tour — Rory McNamara is tied 28th after the opening round of the Open Royal Golf Anfa Mohammedia 2016 on the EPD Tour Morocco. A winner already this year, McNamara carded an even par 71 featuring five birdies, three bogeys and a double bogey five to find hiself five shots off the lead at Mohammedia Royal Golf Club. Scotland’s Ross Cameron shot a six under 65 to lead by one stroke from Antoine Schwartz of France, Morocco’s Faycal Serghini and Austria’s Bernard Neumayer. 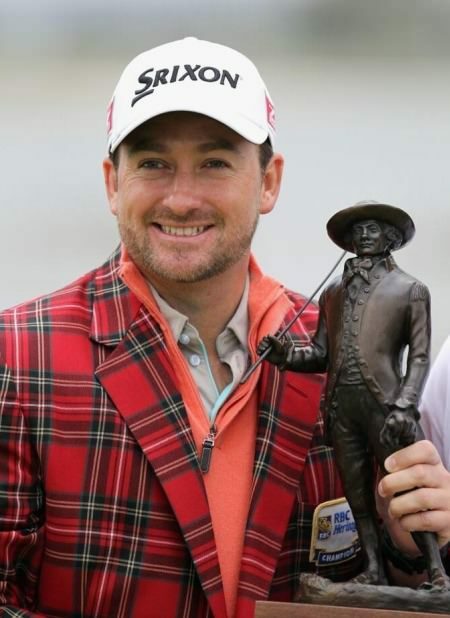 Graeme McDowell is just two shots off the lead at Harbour TownGraeme McDowell might have won a US Open and twice lifted Tiger Woods’ end-of-season World Challenge but he’s never won a regular PGA Tour event.